Glen Wood, co-founder of historic NASCAR team Wood Brothers Racing, has died at the age of 93. 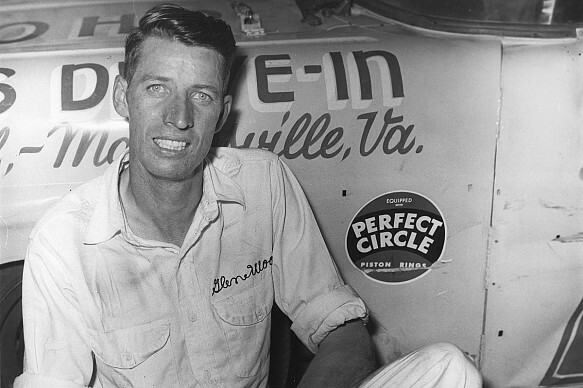 Wood was a four-time race winner in NASCAR's top division, but is best known for creating Wood Brothers Racing - the category's longest-running team - with siblings Leonard and Delano. A social media announcement from the team read: "It's with profound sadness that we mourn the passing of team founder and family patriarch Glen Wood this morning. "We want to thank family, friends, our small-town Virginia community of Patrick County, as well as everyone in the NASCAR community for their unwavering support." Wood Brothers added that the funeral would be a private family service. The team, based in Stuart in Virginia, has operated since 1950, and amassed 99 Cup level victories from over 1500 series starts - the most recent win coming via Ryan Blaney at Pocono in 2017. Five of its wins came in the Daytona 500. 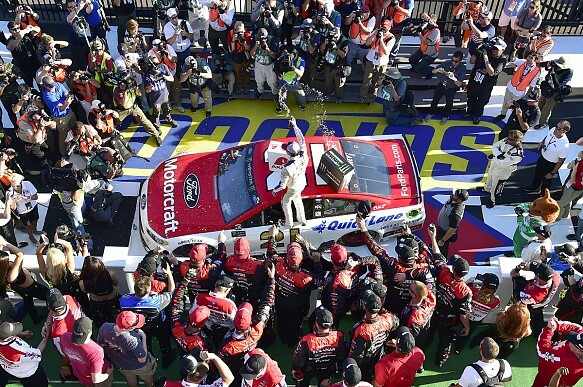 In addition to its on-track success, Wood Brothers Racing is recognised for revolutionising pitstop procedures in NASCAR - with methods that reduced pitlane times by as much as 50%. That prompted Lotus and Ford to invite Wood Brothers to run the pitstops for Jim Clark's 1965 Indianapolis 500 entry, which ended with victory. Many of NASCAR's most successful drivers raced for the team, including David Pearson, Curtis Turner, Junior Johnson, Joe Weatherly, Fred Lorenzen, Cale Yarborough, Dale Jarrett and Bill Elliott. Wood Brothers has been a Ford team throughout its 69-year history. Ford Motor Company board of directors member Edsel B Ford II said: "This is a difficult day for all of us at Ford Motor Company. Glen Wood was the founding patriarch of the oldest continuously operating NASCAR Cup Series team and we consider Wood Brothers Racing a part of our family, the Ford Family. "The Wood Brothers race team, by any measure, has been one of the most successful racing operations in the history of NASCAR. "Glen was an innovator who, along with his family, changed the sport itself. But, more importantly, he was a true Southern gentleman who was quick with a smile and a handshake and he was a man of his word. "I will cherish the memories of our chats in the NASCAR garage, at their race shop in Mooresville or the racing museum in Stuart." Wood was inducted into NASCAR's Hall of Fame in 2012, and its executive director Winston Kelley said his main memory of Wood would be his grace and humility. "The word that best describes Glen to me is 'gentleman'," said Kelley. "I've often said if you looked up the term 'Southern Gentleman' in the dictionary, you would see a picture of Glen Wood and likely all of the Wood Brothers. "While we have lost one of NASCAR's true pioneers, icons and legends, Glen's legacy and memory will continue through Wood Brothers Racing and will be forever remembered, preserved, celebrated and cherished here at the NASCAR Hall of Fame, at the Wood Brothers Museum in Stuart, Virginia, and in our hearts and minds."